Furnace Mountain consists of Aimee Curl on Bass and Vocals, Danny Knicely on Mandolin and Fiddle, Dave Van Deventer on Fiddle, and Morgan Morrison on Bouzouki, Guitar and Vocals. Members of the band have been playing together since 1995, and grew up in the same area of Virginia on or near the mountain bearing the same name. 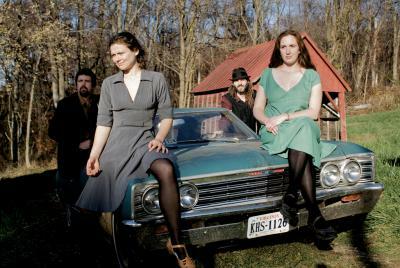 Furnace Mountain will be releasing their 5th CD in May 2012, to coincide with their 3rd UK tour. The band has graced stages near and far, from the Yangtze River in China to the banks of the Shenandoah River where they are the host band of the world famous Watermelon Park Festival each year. The music of Furnace Mountain is at times lively and raucous, with spirited fiddle melodies weaving in and around the powerful rhythms of the bass and bouzouki. It is at other times poignant and poetic, with sublime vocal harmonies beautifully interpreting some of the oldest songs ever written. 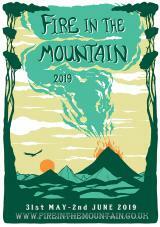 Furnace Mountain plays music from the American Appalachian traditions, as well as original compositions, and songs penned by their favorite song writing friends. Last time Furnace Mountain toured here it was as if they turned the whole world upside down. Bob Harris said they were “wonderful” and provided a studio session for his BBC Radio 2 show, then they were selected for the BBC 2 TV show as one of the highlights from Glasgow’s Celtic Connections festival. The Virginians drew big crowds to some of the best ‘live’ music venues on the circuit, all stimulated by hugely-complimentary reviews. In America, they count the Coen Brothers (Oh, Brother, Where Art Thou?) amongst their biggest admirers.